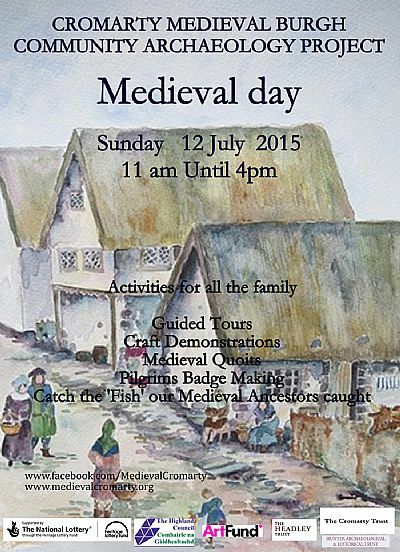 This Sunday we will be hosting a family day on site, so do come along! From 11 - 4, there will be a host of activities and games, as well as site tours and the usual excavation work going on. You can dress up (some of us will be wearing historically accurate medieval garb), and find out a little more about the lives of the people who once lived in Cromarty.